In an effort to get information out quickly and efficiently to as many Medical Marijuana Patients as humanly possible, we’ve decided to prepare a short list of “Frequently Asked Questions” to address the most common questions that we’ve received about the Arizona Court of Appeals decision regarding Medical Marijuana Concentrates in Arizona. 1) How did this Arizona Court of Appeals decision regarding Medical Marijuana Concentrates just kinda happen overnight? One of the criminal defense lawyers flagged the Defendant Jones in a marijuana seminar at the annual criminal defense lawyers’ conference, a week before the opinion came out. It was obvious that this was a problem that would arise through the criminal law based on the three or four Superior Court decisions we had, and it was obvious that the prosecutors were going to push it up to the Court of Appeals eventually. Both the “Arizona Cannabis Bar Association” and the Arizona Dispensary organizations had previously told everyone that they were completely unaware of this case, which is why they did not pay for a Marijuana attorney to get involved with the case by filing an Amicus Curiae brief with the court. It now appears that both the “Arizona Cannabis Bar Association” and the Arizona Dispensary organizations should have been aware of this case and they should have taken steps to try and prevent this from happening, but failed to do so. 2) Does this recent Arizona Court of Appeals decision effect products like Shatter, Wax, Distillate, Vape Cartridges, Live Resin, Rosin, RSO, Kief, and cold-water Concentrates? Nobody actually has a definitive answer to that question, but many are under the impression that all of these products mentioned could potentially be effected by this Arizona Court of Appeals decision. 3) Can a Medical Marijuana Patient still buy Medical Marijuana Concentrates at any of the State-Licensed Dispensaries? YES, almost all of Arizona’s State-Licensed Dispensaries are continuing to sell Medical Marijuana Concentrates despite the most recent Arizona Court of Appeals decision. The Arizona Dispensary organizations have collectively decided that based both on their interpretation of the court’s decision and the current AZDHS Medical Marijuana Program Regulations, they believe that the Arizona Court of Appeals decision does NOT apply to the Medical Marijuana Concentrates that they sell to Patients. 4) Can a Medical Marijuana Patient be arrested and charged with a Class 4 Felony for “Possession of Narcotic Drugs” for possessing a Medical Marijuana Concentrate if they bought the Medical Marijuana Concentrate from a State-Licensed Dispensary? Yes, maybe so, but it’s too early for us to know exactly how law enforcement will choose to handle these cases going forward. And yes, we realize how utterly confusing this situation is. 5) Should Arizona’s Medical Marijuana Patients continue to purchase Medical Marijuana Concentrates from Dispensaries? We want Medical Marijuana Patients to be educated so that they can make an informed decision, but we fall short of telling people what to do or how to live their lives. Having said that, if a Medical Marijuana Patient does decide to purchase Medical Marijuana Concentrates from a Medical Marijuana Dispensary, the Patient should do so with an understanding of the legal uncertainty surrounding Medical Marijuana Concentrates. 6) Is the average price expected to go up on Medical Marijuana Concentrates that are sold at State-Licensed Dispensaries, as a result of this Arizona Court of Appeals decision? While it’s difficult to say for certain, we can reasonably expect that the average price of Medical Marijuana Concentrates sold at Dispensaries will likely increase. Predicting exactly how much the average price will increase is next to impossible. 7) What should a Medical Marijuana Patient do if they get stopped by the Police with Medical Marijuana Concentrates? Many of Arizona’s Marijuana attorneys are telling Medical Marijuana patients that they should NOT SPEAK TO THE POLICE if they are detained or arrested for possession of Medical Marijuana Concentrates. We’ve been told that there are numerous POSSIBLE defenses that a Medical Marijuana Patient could use in court if they are arrested and charged, but all of these possible defenses are predicated on the Medical Marijuana Patient politely refusing to speak to the Police about their case. Arizona Marijuana Attorney Tom Dean is encouraging Medical Marijuana Patients to utilize his “Glove Box Lawyer” paperwork, which is a simple way for Medical Marijuana Patients to exercise their rights by handing the Police a signed statement without the need to memorize a script. 8) What can a Medical Marijuana Patient do if they are arrested and charged with “Possession of Narcotic Drugs” for possessing a Medical Marijuana Concentrate? The “Arizona Dispensary Association” has setup a special “Legal Defense Fund” to pay for the cost of a Marijuana attorney to defend any Medical Marijuana Patient who is charged with “Possession of Narcotic Drugs” as a result of this Arizona Court of Appeals decision. If you are arrested, you should contact this organization directly and ask them to appoint a Marijuana attorney to represent you in your criminal case. 9) Isn’t it kinda f@#%ed up that the Arizona Dispensaries are continuing to sell Medical Marijuana Concentrates if a Medical Marijuana Patient can then be arrested for possessing the Medical Marijuana Concentrate after they leave the Dispensary? It’s not necessarily quite that simple. You see, if the Arizona Dispensaries did suddenly stop selling Medical Marijuana Concentrates, THOUSANDS of seriously ill patients would either suffer tremendously or be forced to the black market! Let’s not forget that Arizona has more than 100 Medical Marijuana Patients who are MINORS under the age of 18, and asking these kids to suddenly start SMOKING MARIJUANA, instead of using Medical Marijuana Concentrates, is beyond unreasonable. And, the “Arizona Dispensary Association” should at least be praised for creating a special “Legal Defense Fund” to defend any Medical Marijuana Patients who are charged after buying one of their Medical Marijuana Concentrates. Some within the Arizona Marijuana community have suggested that this is an act of “civil disobedience” on behalf of the Arizona Dispensaries, while others in the Arizona Marijuana community have pointed out that the Arizona Dispensaries have an undeniable financial incentive to continue selling Medical Marijuana Concentrates at even higher prices to generate more profits. On the other hand, it’s definitely wrong for any Medical Marijuana Dispensary to sell Medical Marijuana Concentrates to a Medical Marijuana Patient and then send them out into the world without giving them any knowledge whatsoever about the legality of the product that they just purchased. To combat this disservice to Medical Marijuana Patients, we’re strongly encouraging all of Arizona’s finest Dispensaries to distribute literature to their Patients informing them about the uncertainty that currently exists regarding the legality of Medical Marijuana Concentrates. 10) Is anyone actually doing anything to fix this problem? Yes! The Arizona Dispensary organizations are spending money to fight this case in court and they’re also using their political connections to try and persuade Governor Ducey and the Arizona Legislature to take action to fix this problem. 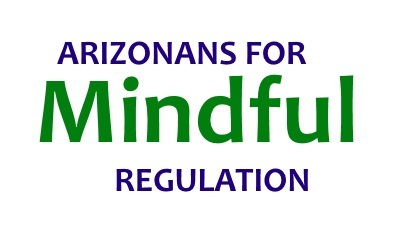 Groups like AZFMR are focused on educating Arizona’s Medical Marijuana Patients in an effort to prevent patient suffering. You can help us by pledging to inform and educate at least 3 of your friends about this Medical Marijuana Concentrates issue.